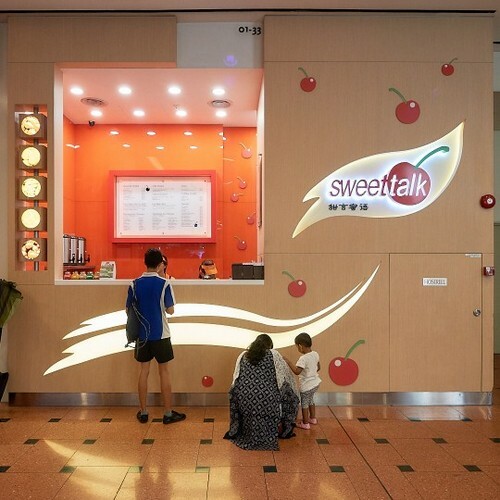 Bubble tea and dessert shop SweetTalk has 12 locations in Singapore, including one within Jurong Point mall (1 Jurong West Central 2). Established in 2002, Sweet Talk serves a menu featuring a variety of ice-blended drinks and Chinese iced desserts, including such local favourites as ice kachang and many others. Some of the customer favourites include Milk Tea with Pearls, Blue Coral Ice Blend, as well Oreo Crush. ​The official SweetTalk Facebook brand page is located at www.facebook.com/sweettalksg/. Following the Facebook page, you’ll learn more about the chain’s promotional offers, their events, and much more.